The pharmaceutical industry’s suppression of effective modern remedies is one of the biggest crimes against humanity. Drug lobbyists and politicians have manipulated the healthcare system in most countries so that your pain is their gain. As such, stem cell treatment is highly restricted in the USSA, yet readily available in Mexico. I recently traveled to beautiful Puerto Vallarta where I had the privilege of visiting the Dream Body Clinic. Joshua Ketner has twice been a guest on Anarchast, so we’ve discussed everything from overcoming depression and improving the quality of life, to testosterone and the benefits of Human Growth Hormone (HGH). While I’ve tried many innovative treatments (including stem cell therapy), this time was different because I wanted to show my subscribers up close what it is all about and how it works. When stem cells are put into a body, they target anything that’s bad or damaged, so they’re really more like “messenger” or “signaling” cells. This explains why when I lift weights and my muscles get inflamed, that’s when I really feel the stem cells inside me working, because they are targeting anything inside me that needs to be repaired. Most of the negative stigma around all this comes from the US Stem Cell Research Funding Ban, signed by Bush in 2001, which prohibited research from being done with aborted fetuses and embryos. Adult stem cell research however, which has widespread support, has already produced cures and treatments for cancer and paralysis. So there’s no dark, secretive lab where evil scientists kill a bunch of babies for this — on the contrary, all stem cells at Dream Body, and most reputable clinics, are from healthy, live births and are byproducts of the placenta or umbilical tissue that is usually considered “waste” when a baby is born. These are basically very active cells that are obviously important to a life being created, and that’s what makes them so useful for an older person to have in their body, because our bodies stopped creating cells like this a long time ago. To be clear, placenta based stem cells from adults are considered totally safe and ethical. Of course, anyone seeking any medical treatment should always do their own research and consult with reputable and experienced practitioners. At the recent TDV Summit in Acapulco, leading experts covered the best strategies for investing, expatriation, privacy, internationalizing of assets, Perpetual Traveler (Prior Taxpayer) lifestyles, and more! When more individuals start to heal holistically, a massive awakening will follow. This is why Anarchapulco 2019 was so important! Known as The World’s Premier Liberty Event, attendees this year enjoyed an array of wellness activities from surfing and dancing to yoga and plant medicine. 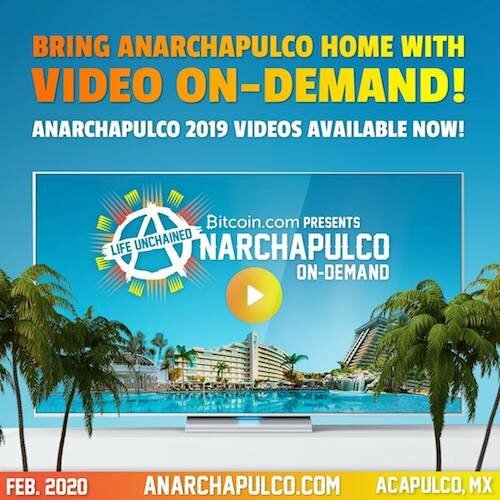 For Anarchapulco 2020, the community is organizing another unforgettable week of entertainment, health, philosophy, entrepreneurship, activism, and personal relationships—all among the sun and beaches of a world-class resort (GET TICKETS). Big Pharma doesn’t want you healthy. Most doctors in America never even study nutrition and only treat symptoms instead of root causes. In fact, the FDA’s unnecessary bureaucracy and red tape is said to reduce the average American’s lifespan by 5-10 years! Fortunately, we can take charge of our own lives and longevity. If you’re ready, join the movement (SUBSCRIBE) and we’ll show you how. The Health Vigilante … coming soon.